sailboat. : Five things that are making me happy this Friday. Checking my emails for the millionth time (not obsessive at all...ahem...!) to see if my assignment result was there to find out I got 86%, which is insane!! My jaw hit the floor and I may or may not have done a celebratory dance around the room, who am I kidding, I totally did that! I have a feeling it may be a fluke but even if that's the case, I'm very happy! Seeing my Mama's pup snuggled under my big pink dressing gown. He's such a pampered pooch and when he gets cold he sits really close and shivers so I popped this over him and that's where he stayed all afternoon! Panda highlighters - sometimes it's the really small things that can make even the most boring of tasks that little bit better and when you have to highlight a really dull text to attempt to understand what on earth is being discussed, it's much better to do that with panda highlighters! 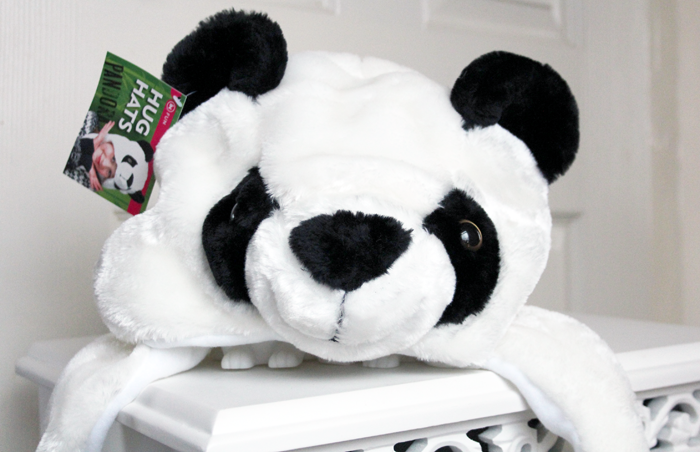 Continuing the panda theme - my amazing panda hat. My boyfriend got this for me as a joke but I'm totally going to wear it when it's super cold! Yes, even though it's for children - why should they get all the fun things?! Finding sweet little things for our home to add that personal touch. 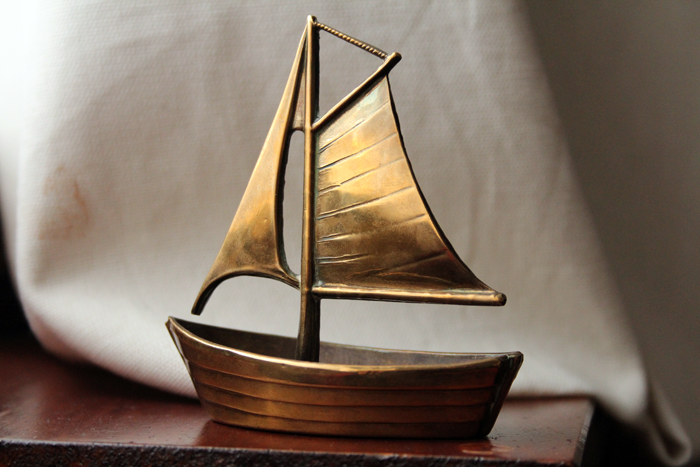 We discovered this little boat in a box at a carboot sale and it's one of my most favourite ever finds! What's making you happy this Friday? You go girl, 86% is amazing! :) Well done you! Yay for good grades! Also, that boat is super cute, good find! Congratulations, 86% is amazing! :) The puppy is so cute too, he's like 'yeah I'm wearing a dressing gown... and what' haha! Well done on your 86% - that's amazing! Love the boat too, what a lovely find! Those panda highlighters are awesome! I'm experiencing highlighter envy. . .
And congrats on the 86%! I just love those panda highlighters :) I've been looking for some nice little things to decorate my home with - I should try a car boot sale! Congrats again on your assignment mark Jennie! Mr Bailey looks lovely and cosy snuggled up in your dressing gown - and I love your hat, I'd totally wear that too haha! Congrats on your assignment result - fabulous news. Congratulations on the assignment result! Congrats on your result! GO YOU!!! Oh and if he buys you a hat as a 'joke' then it is your suty to wear it as much as possible around him. that's the rule!! Well done on your assignment!!! These are cute pictures! I love those panda highlighters! Huge well done on your result - that's amazing! Congratulations on your assignment result! Such a lovely post to read. Congrats on your grade! 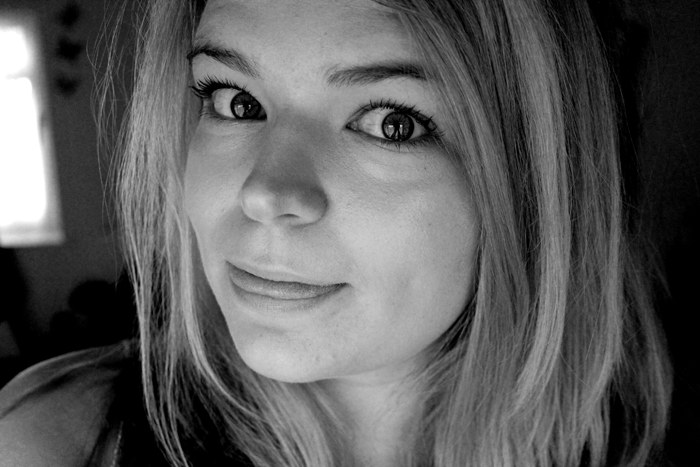 This Friday, finding and following sweet and lovely blogs like yours is making us happy! Congrats on the assignment result - must've been so rewarding to have realised you did so well! :) That panda hat is adorable - my friend has something similar and it's always really fun to wear and feel like a kid again! Congratulations! I love those highlighters, they are so adorable. I am usually happy when I get to use dull highlighters too - pretty colours on a boring paper always make me smile. Love this post the simple things really do make you happier, those highlighters are adorable ;) My dog is also very pampered forever under our quilts! That pup is entirely too adorable! Love your posts like this :) the sailboat is lovely... your mums dog looks the sweetest under your dressing gown and I feel I need the Panda Highlighters even though I don't study anything! Also congratulations on the great exam results! 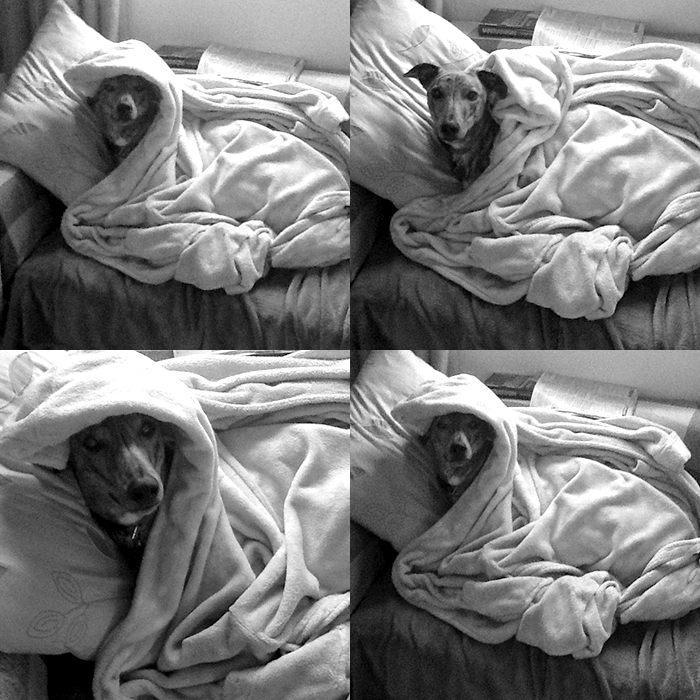 Okay seeing the pup snuggled under the covers definitely brought a smile to my face - that is just too cute! Well done on your assignment lovely, that's amazing! Your mum's pup is adorable! 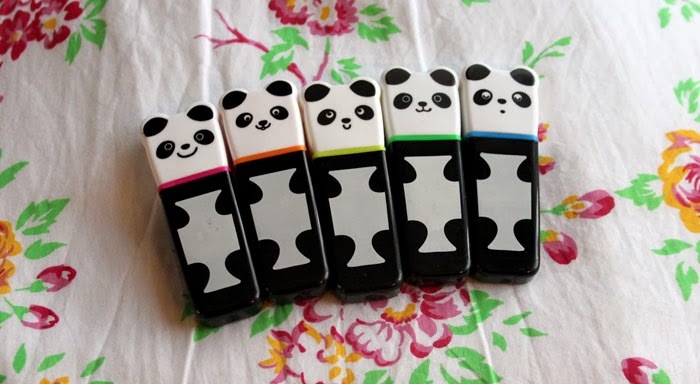 Those panda highlighters are the cutest thing I've seen in ages! Panda's make me happy no matter what!!! Just too cute.